This is THE road trip is for the true adventurers looking for scenic landscapes. 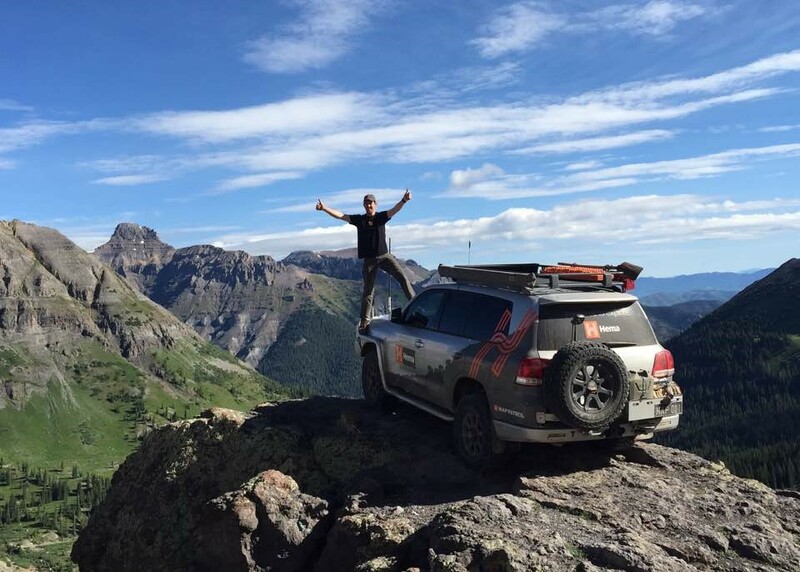 Rob Boegheim, Managing Director of Hema Maps, decided to take his company on a unique challenge last summer with a 10,000 kilometres trip across the USA, the Rocky Mountains and Canada: The Great Continental Divide. With three months to complete the trip and map out the road, Rob took on North America’s highest vehicle trails, passing over 13,000 feet above sea level and through everything from basic dirt roads to technical mountainous terrain.Discover more about Rob’s adventure, the high and lows and how to be prepared for such a huge and adventurous road trip wherever you are in the world. How did you choose/plan the places you would go? With Hema Maps, I was looking for a significant North American expedition to take on, one that would showcase what Hema was about - what we could do and what we are capable of. We spoke to our partners in North America - Shane Williams (TCT Magazine) and Chris Cordes (Expedition Portal) - who suggested that it had been a long time since anyone had mapped the Great Continental Divide. The Great Continental Divide is a continuous mountain range that goes from the bottom of South America to the top of North America. We selected the section beginning at the border of Mexico to Prudhoe Bay in Alaska, a journey in excess of 10,000km (6,000mi). Understanding that Hema Maps is a 4WD and navigation company, we didn’t want to take the easy road. Where a lot of travellers might do the route on fairly easy bitumen roads and comfortable back roads, Hema were more focused on dirt back roads and 4x4 trails that crossed the Continental Divide, to stay as close to the Divide as we could but also cross it as often as we could, wherever possible. What was your exact itinerary and who did you travel with for the 3 months? 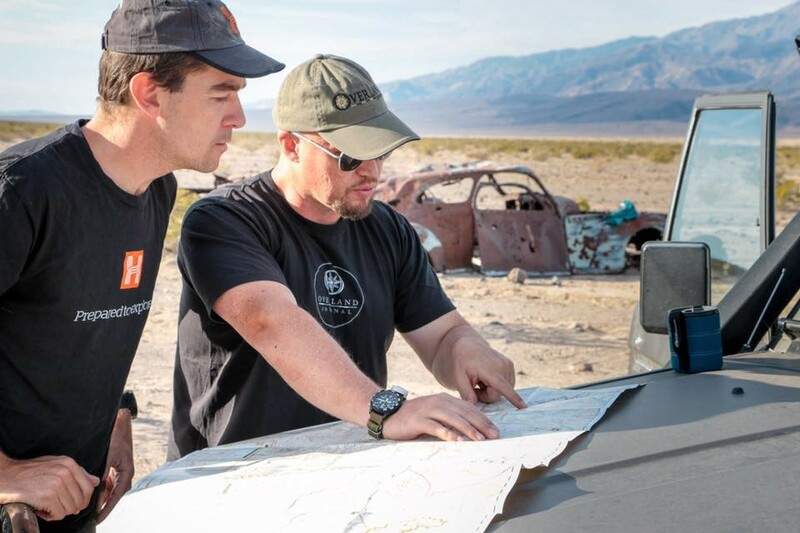 The team consisted of myself as the Expedition Leader, Chris Cordes from Expedition Portal for Logistics Planning and Vehicle Support and Shane Williams from TCT Magazine, for Route Planning. How did you prepare beforehand, what was the material involved (and cars)? It was important to draw on the knowledge of our key contacts in North America, which included asking them to confirm the physical geographic features of the route. We uploaded our intended route and proposed tracks to the Hema Explorer Cloud, which allowed us to share and collaborate with Shane and Chris online. We also used as many printed and digital maps that we could find on the regions we were exploring. Each field-team leader planned the day to day itinerary for the sections they were involved with. We had a broad plan of where we wanted to go and what times we wanted to touch points with the Continental Divide, but we also had to be flexible with the itinerary planning because problems could be encountered at any time, and the weather was unpredictable. In the year prior to the expedition, we completed half a dozen short trips in the west of the United States, specifically Colorado and Death Valley, to get use to the terrain. We utilised our local vehicles to improve our own 4WD driving skills and training, particularly four-wheel driving in snow which is a less common experience in Australia. Every expedition member had to undergo bi-annual 4WD training and accredited first aid courses. Also, we knew what to do in event of a bear attack - we had a grizzly bear run along the track in front of us. What kind of vehicle did you use? We required a vehicle that had long distance fuel range, a strong engine, good axial articulation and could tow an off-road camper trailer. We decided to bring one of our Map Patrol vehicles from Australia, the LandCruiser 200 series, a very capable long distance expedition vehicle as well as very good with technical climbs. The handy part of that was it was already setup for expedition use. In essence we were exporting the Hema experience to North America. Once on the road, did you encounter some challenges regarding travelling but also for the mapping? There is a whole network of tracks, and we wanted to pick a route that was enjoyable, meaningful and safe for others to follow. It was a challenge because you never know what you will really experience until you’re there. The sheer distance that we had to travel was also a challenge, specifically the time it took to map such a long route and in such great detail, particularly due to the density of the tracks, campsites and everything else. Plus we had some new Hema explorers on the trip who required additional training on the mapping process. We also experienced snow blizzards in the Artic. In Colorado the tracks don't open until the snow is cleared from the tracks. There were only a few tracks, such as Mosquito Pass, that were closed until later in the season. The biggest standout for me and the other team members was the spectacular country and mountain side landscape that we travelled through. We were doing regular mountain passes that were 10 to 13-thousand feet high in the Colorado summer. To an experienced Australian off-roader, terrain like that is a trail you can normally only hike or ski yet we were driving on mountains that were higher than anything else in Australia. To put it in perspective, our Australian Alps height is comparable to their lowlands. You’re in postcard spectacular Colorado mountain terrain, it’s unbelievable that you’re on legally registered roads and trails. My most memorable moment was going through Mosquito Pass by myself, which is the highest mountain pass in North America, with only my camper trailer behind me, on the first day it was open for the season. Another memorable moment was along Canol Rd, the North Eastern part of Ukon territory in Canada. The road was built back in the Second World War to establish an oil pipeline for the Northwest Territories to Alaska to secure oil supply for the war effort. It’s a really lonely track that sort of wanders off to the Ukon Northwest Territories border. The scenery was so spectacular, particularly as you get to the northern end and very remote. I always knew it was going to be one of the more beautiful roads that I would travel through. I spoke with some hunters along the way who recommended a track that veers off to the left along the road. It wasn’t on any map that I had and that for me is always exciting when you get to go on a track that is not on a map but in this case it was in a country that I wasn’t experienced in and really high terrain. To follow this track all the way to the old mine and the whole time being able to look right across the valley to the snow-capped ranges across the other side and find some beautiful campsites. They’re the sort of places that make you think, should I put this on a map or save it as a secret place for myself. We had an opportunity to get up close with a snow lion. What highlights would you recommend to travellers wanting to take the same road? What are your trip and tricks for travellers wanting to use maps in a better way when on a road trip? Definitely worth travelling the Great Continental Divide, particular the routes my team and I travelled. Spend as much time in Alaska as you possibly can. The beautiful scenery is just magnificent. Plan a lot of time in the Colorado sections because there are so many amazing tracks to see. It is comparable to the High Country in Victoria, Australia without so much altitude. If you want to get some practice for the Colorado section here then I suggest going there first. You’re more likely to bump into snow and high terrain there. Get hold of as many copies of printed maps for the route as you can because we found they were far better than any digital maps available. Organise to purchase a vehicle already in North America. It cost us $10,000 each way to ship our vehicle from Australia. 4WDs are a lot cheaper in North America than they are in Australia but you will also need someone to set it up properly before you so you know that it is reliable. Get a camper trailer of some sort. We found that most of the route, except for Colorado, wasn’t extremely technical so you won’t need a guide. You will be driving on generally better quality dirt back roads that we have here in Australia. The camping facilities along the route are high quality. The national park services in USA and Canada have a done a great job setting up quality campsites so you probably don’t need to take as much with you as you do in Australia. Be prepared and plan for changes in the weather such as a wet weather pack up routine. Is there an amazing road trip adventure you would also recommend in Australia? I highly recommend completing a Simpson Desert crossing but make sure to pick the loneliest, quietest track that you can. I just love big, open spaces where you are able to get a real sense of the vastness and isolation, in addition to the beautiful colours on the horizon and the stars at night. It’s a busy world we live in, but when you go out there by yourself or in a small group, the busy-ness seems to wash away. This feeling comes back to me when I remember laying on a salt lake in the middle of nowhere, trying to get pretty close to a panoramic view of the sky. For me, it puts a lot of things in perspective. I myself pushed the boundaries of my known territory by completing a cross-country trip to the geographical centre of the Simpson Desert. I was lucky enough to do a trip that had not been mapped or marked, following old exploration shot lines left there from 50 years ago - pretty exciting stuff. We are going to extend our North America expedition down to Baja California, Mexico, a popular 4WD destination for American off-road enthusiasts. We are also planning to head back to Cape York this year. There are some unexplored tracks around Cape Melville that I tried to explore during an earlier mapping expedition but as yet haven’t managed to get back there. At the heart of it I always love putting new tracks on the map for others to explore. You can also watch Hema Maps expedition's video here and discover more about Hema Maps here.